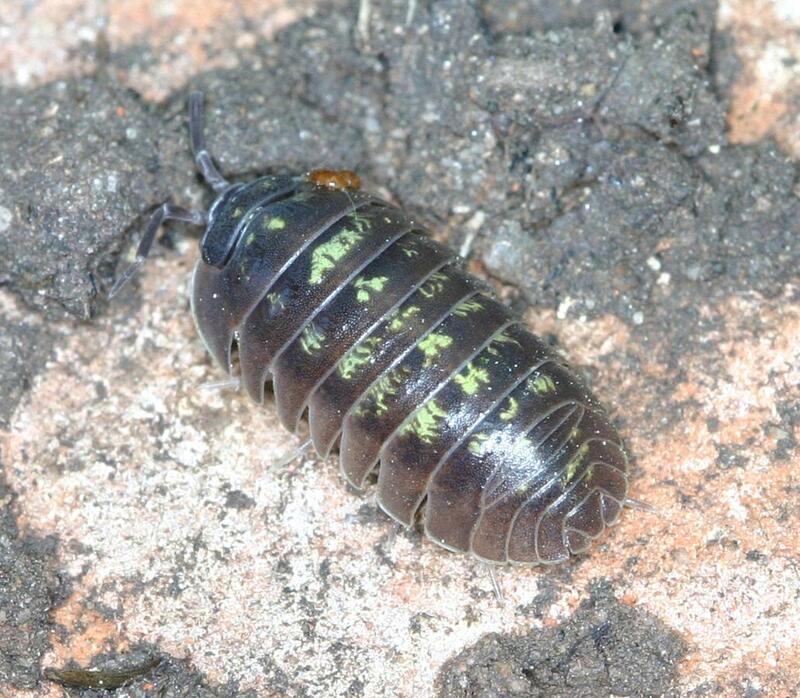 Armadillidium depressum is a dark grey to black species and may reach a length of 20 millimetres. It is very similar to Armadillidium vulgare (which may reach 18 millimetres). 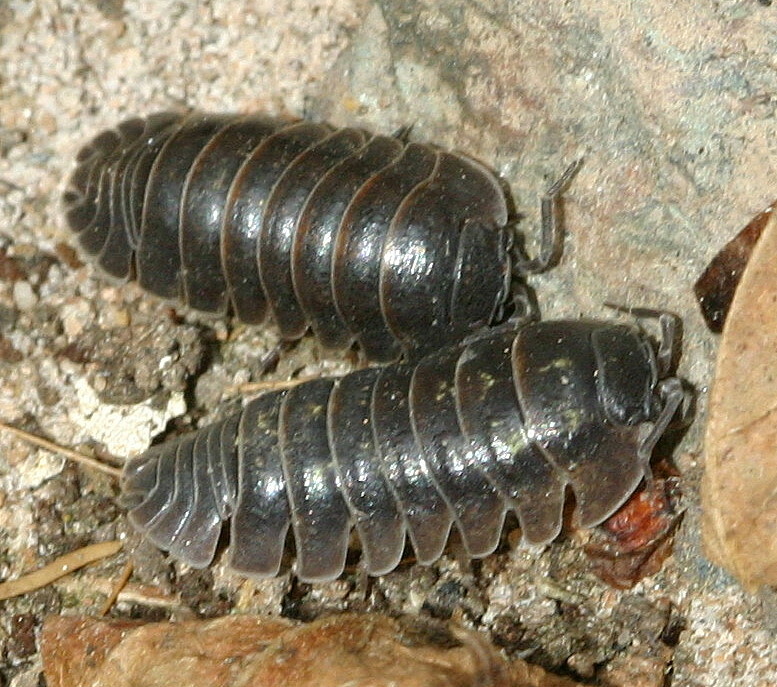 Both species are capable of rolling into a ball when disturbed but Armadillidium depressum can be distinguished because it leaves a gap when enrolled, instead of completely enclosing like Armadillidium vulgare. Another distinguishing feature is that its pleon curve outwards, causing a splayed appearance. Found under stones and logs, also in old buildings etc. Feeds on dead plant matter, and lives for 3 years. Mainly recorded in southwest Britain, near the English channel, but small populations also occur elsewhere throughout England.